Wallingford is a small market town on the river Thames halfway between Oxford and Reading. It was a walled Saxon town and the remains of the town walls can still be seen today. William the Conqueror built Wallingford Castle, which was used as a royal residence until the time of the Black Death. The Castle was demolished by the order of Oliver Cromwell in 1646 after a 65 day siege. The remains of the Castle can be seen from the Castle Gardens. 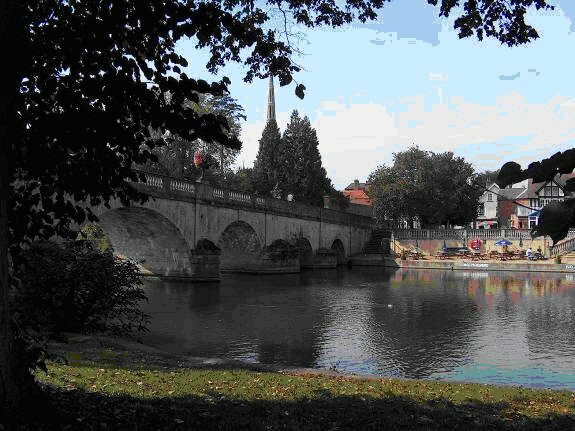 Wallingford was formerly a Borough, having its first Charter granted in 1155. The Council are still robed and the Mace is processed on Ceremonial occasions. Today, Wallingford is a thriving Market Town of about 8,000 inhabitants; the centre is a major conservation area with examples of churches and architecture dating back to the 14th Century. The landscape from the river Thames is officially designated as an Area of Outstanding Natural Beauty. The narrow streets with their variety of small shops, pubs and restaurants, the antique shops in the Lamb Arcade, and the parks, commons and gardens make it a very pleasant town. Wallingford is within easy reach of both the M40 and the M4, and is only 15 miles from Oxford and Reading. The practice was formed out of several individual practices in the 70s. Initially situated in the old community hospital building it since has expanded into new buildings alongside. 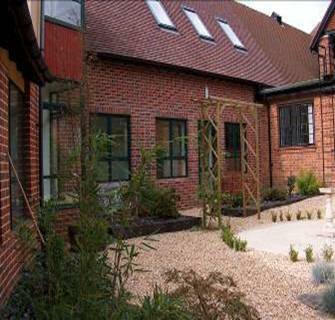 Our most recent building project was finished in March 2005 to make room for nurses and a conference room. The practice is fully computerised with networked PCs throughout the building. We are paperlight and use the Vision medical system but are planning to change to Emisweb in autumn 2015. We use an Intranet and each PC has access to the NHS net and via that the worldwide web. Around 16000 patients are registered with the practice. 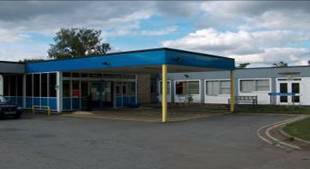 The practice area is classified as semi-rural and covers a radius of 5 miles around Wallingford. We employ 30 staff including receptionists, clerical workers, secretarial staff, dispensers, nurses and health care assistants. The practice is dispensing to part of its patient population. This provides additional scope for learning but is also very practical for day to day work. We are proud to be one of the top scoring practices with regards the Quality Outcomes Framework. We have a long tradition of training General Practitioners and have been part of the Reading Vocational Training Scheme for some years now. We have three trainers, Dr H J Paul, Dr E Walker and Dr A Henry. Dr C P Hughes is an CSA examiner for the Royal College of General Practitioners. We generally have two to three registrars at the Practice at any one time. If you wish to speak to our registrars or some of our ex-registrars we will try and help you to contact them. 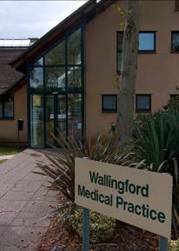 We at Wallingford Medical Practice aim to provide a happy, informative and resourceful working environment for GP registrars to develop into independent practitioners. We feel it is very important they should enjoy their registrar year and feel able to cope with all styles of general practice when they leave. The registrars have their own rooms near to their trainer’s, which facilitates easy support if it is needed. The rooms are fully equipped and the registrars can individualise their rooms in terms of layout, pictures and plants etc. The registrar’s rooms are networked with access to the NHS net, the intranet and clinical system as well as other shared information such as practice protocols. 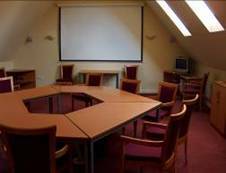 In a recent extension to our surgery we have included a spacious meeting room which we use for regular educational meetings as well as tutorials. All the necessary computer equipment and a projector are available there. The registrar should get a good balance between work experience and time for other education e.g. sitting in on consultant clinics (in the local community hospital for instance), project time and time for CSA and AKT preparation. The tutorial time is protected. All the other doctors in the practice and other members of the Primary Health Care Team are available for teaching on an ad hoc basis and as part of a more formal negotiated curriculum. The library is kept up to date as much as possible with books and journals, and the registrar can put forward any books or other resources they feel need buying. However most learning resources will nowadays be available via the internet. After an introductory period the registrar will be seeing patients initially at 20 minute intervals, reducing to 10 minute appointments at his/her own pace over some months. After a period of first shadowing and then being shadowed they will also take on duty doctor responsibilities. We run personal lists but the registrar is encouraged to develop his/her own ‘patient list’, therefore seeing patients and their problems through to their conclusion and maintaining continuity of care, which we feel is the essence of general practice. Registrars are encouraged to take an active part in the practice and as part of that they are invited to all the meetings including confidential partnership meetings. We like to hear their views during any decision making. The registrar has Tuesday on the Day Release course in Reading, and one session a week as a dedicated tutorial. The rest of the week involves surgeries, visits, meetings and looking after a local residential and nursing home. This is particularly useful for learning to manage the complexities of chronic disease care. There is also protected time for personal learning and projects. There are six GP-partners and 4 associate GPs working in Wallingford, between them being the equivalent to 7.5 FTEs. The partners and registrars meet with the Practice Manager for a business meeting every Monday lunchtime from 1-2pm. There is a more formal partners’ meeting once every 6 weeks in the evenings to discuss more difficult topics. This is a time when the most important partnership decisions are made, and we encourage our registrars to attend. Wallingford has a large and active Primary Health Care Team consisting of not only its GP’s but District Nurses, Health Visitors, Practice Nurses, Midwives, Counsellors, Social Workers, Psychologists, Dieticians, School Nurses and Community Psychiatric Nurses. The communication between members is excellent as many members of the team either work from the medical practice or the neighbouring community hospital. There is ample opportunity for informal meetings over coffee. Attendance is compulsory! We also have a weekly meetings on Thursday mornings. We review cases, discuss particular topics, look at significant event or audit and also have invited local specialists, hospital consultants or other groups speaking. Evenings, overnight and weekends are all covered by the out of hours service provided by Oxford Health. Some of the Wallingford doctors take part in providing cover working from either the Henley or Abingdon base of the out of hours service. The registrar will have opportunity to join us for shifts which will count towards his/her accreditation. General Practice in Wallingford is different from many other parts of the country in that we have a community hospital on site with inpatient rehabilitation and outpatient services. The hospital houses the first aid unit, outpatients, physiotherapy, day hospital and occupational therapy and the hospital administration. This gives the registrar resources for learning that they might not have in other areas. We look after the 20 inpatients Monday to Friday. We encourage the registrar to become involved in all the activities going on in the practice both medical and social. Our educational meetings are rarely educational alone. Throughout the year we meet for dinner or other outings. The morning coffee break is sacrosanct. It allows us to meet up with our staff and members of the primary health care team for both social as well as medical chat, and helps to maintain a healthy balance during the working day.